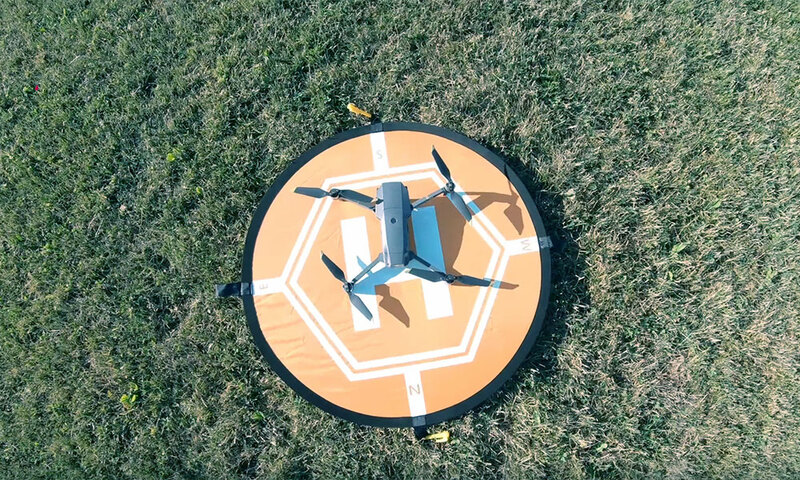 Can someone please give me the exact steps for precision landing. From take-off to landing. I was not able to get mine to activate precision landing. I’m sure it’s just something I’m not doing right. 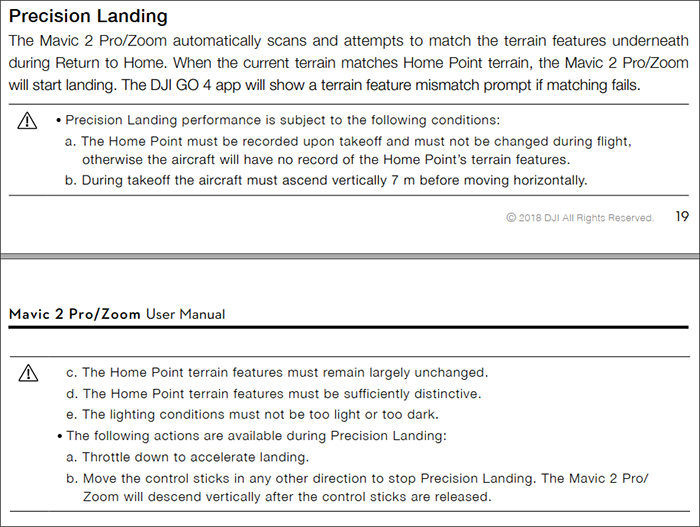 You need to be running firmware 1.00.02.00 on your Mavic since that’s the first version of the firmware that includes the Precision Landing feature. And make sure you’re running the current version of DJI GO 4. Thanks guys, I was not flying up to 10 meters before take-off. That’s where I was messing up. I’m not convinced that the altitude is that critical. If I manually takeoff to about 10 feet and sit there for a few seconds, it seems to work. Thanks, I will try again once the snow is gone. A thought, use auto takeoff.